Jefferson, Abington finalize merger, but will it help patients? 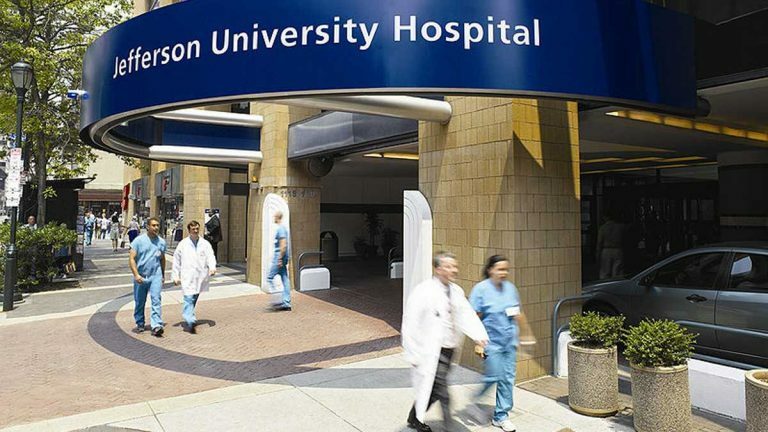 Abington Health and Thomas Jefferson University this week announced a final agreement to merge, creating a five-hospital regional healthcare system. Federal and state approval for the merger is pending and expected this spring, when the system’s new name and branding will be announced. The merger will offer an expanded footprint to provide care in the city and the suburbs, “enabling us to deliver the right care, at the right time, in the right location,” said Abington CEO Larry Merlis, who will be chief operating officer of the combined healthcare provider. The new system will encompass seven outpatient centers and five hospitals with 1,751 inpatient beds, and employ 19,000 people. The agreement signed Thursday outlines a “shared governance model with equal representation from Jefferson and Abington on a newly established board,” according to a press release. In general, mergers drive up prices as larger systems have increased bargaining power with insurance companies, said Rob Field, a law and health policy professor at Drexel University. “These are both very important hospitals in their areas, and I think the combination of them bargaining together would almost certainty have some effect on the prices they can get from insurers,” he said. The price impact is largest, however, when the two merging systems fiercely competed for the same patients, which isn’t the case with Abington and Jefferson. Market forces wrapped up in the changes brought about by Obamacare could act as a counterbalance to these potential prices increases. According to Carnegie Mellon economics professor Martin Gaynor, patient experiences can improve with mergers like this one, but that is not the norm. “There could be more coordination of care, there could be unified medical records, there could be some elimination of unnecessary duplication,” Gaynor said. The merger is part of a “time-honored tradition” of Center City academic health systems pairing with suburban hospitals to increase referrals of suburban patients with good insurance, said David Dranove, professor of health strategy at the Kellogg School of Management at Northwestern University. “Around the country we’ve seen a lot of similar mergers, where a teaching hospital in the center city has acquired some suburban hospitals, and the biggest impact seems to be a change in the referral patterns for patients who are out in the suburbs,” Dranove said. In a 2007 paper, Dranove studied 21 hospital mergers in New York and Florida and found that when teaching hospitals acquired suburban hospitals, referrals to the new teaching hospital partner increased, and referrals to other area hospitals decreased. The referral changes aren’t necessarily a bad thing, Dranove said, but could in the long-term siloh patients into a single system instead of helping them find the very best doctor for their needs. Local experts say this referral effect may be less than usual with Jefferson and Abington, as the suburban partner isn’t a smaller community hospital, but one with its own high-level care. One issue to be ironed out in the merger is how the two system’s competing services will meld together into one organization. The agreement this week follows Jefferson’s split with its previous partner, Main Line Health, last March.